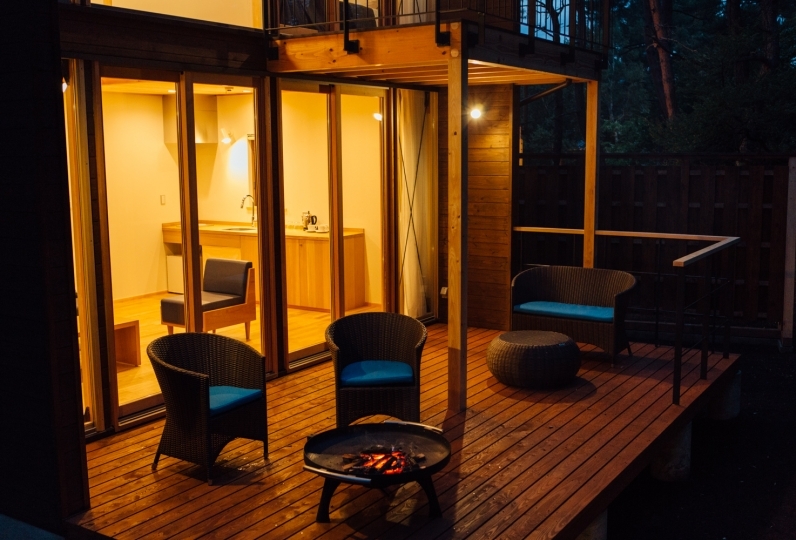 Located on riverside of Fuefuki River, Enzan, Yamanashiken: Embraced by woods and mountain, is a cozy hot-spring hotel in a mountain village. We will ensure you will have a relaxing time where you could get away from hustle and bustle of your daily life. With only 19 guest rooms in vast space, the hotel is decorated according to the four seasons. In the both open-air spa and indoor spa, the hot spring pours out directly. Relax and enjoy the precious moment as you rest your body and soul to the abundance flow of hot spring. The exquisite food is handpicked by our master chefs. The food is in harmony with the style and the atmosphere of the ryokan. 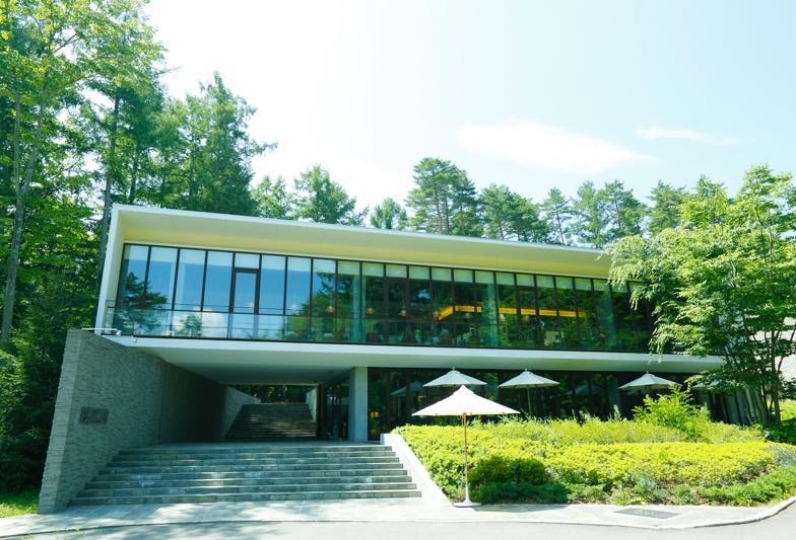 It is located relatively close to picturesque places such as Otome-kogen and Nishi-zawa keikoku and one is sure to enjoy the richness of nature. Why not explore this beautiful area and stay with us? I had a great time at Fuefukigawara Zabou. It&#039;s a very local ryokan so most of the guests there are Japanese, b... Read more I had a great time at Fuefukigawara Zabou. It&#039;s a very local ryokan so most of the guests there are Japanese, but the staff there were extremely warm and hospitable and they tried their best to help me in any possible way. The room and hot spring are well equipped and extremely clean. Complimentary tea, coffee and local wine are served at the vast library. Dinner and breakfast taste superb and feature local and seasonal ingredients. I&#039;d love to recommend Fuefukigawara Zabou to my friends and look forward to staying there again! I had a great time at Fuefukigawara Zabou. It's a very local ryokan so most of the guests there are Japanese, but the staff there were extremely warm and hospitable and they tried their best to help me in any possible way. The room and hot spring are well equipped and extremely clean. Complimentary tea, coffee and local wine are served at the vast library. 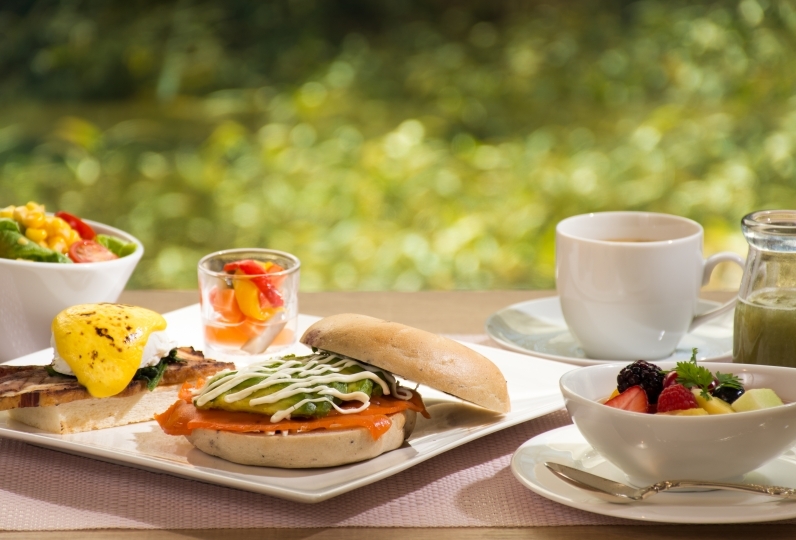 Dinner and breakfast taste superb and feature local and seasonal ingredients. I'd love to recommend Fuefukigawara Zabou to my friends and look forward to staying there again! Everyone who worked was filled with hospitality and was able to unwind at the very best. 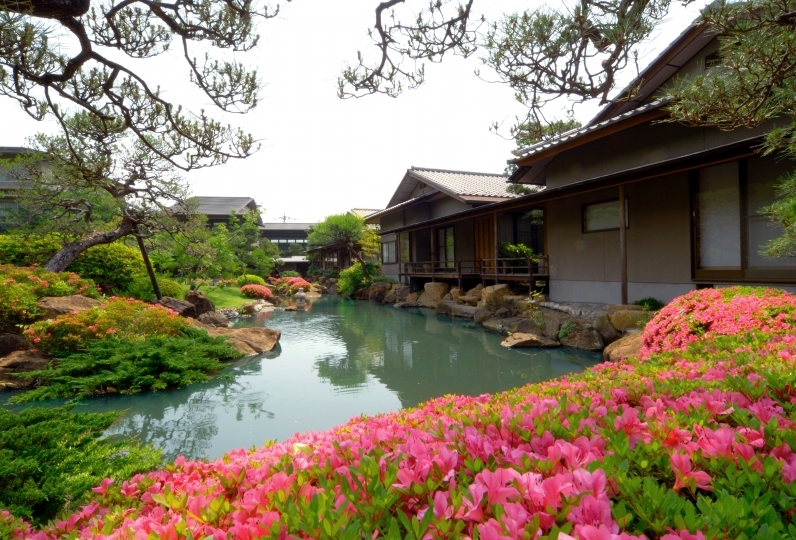 You can spend time quietly in the all-you-can-drink library of semi-open-air hot spring with a very large public bath with a very large public bath and hot spring room and hot spring room, and Maruki wine with a chef-focused tea chef who eats in an attached traditional house It was possible. We arrived in the morning before check-in, but we took in to Maruki winery tour and Keirinji. I am very happy. Thank you very much. I was very happy to be entertained, such as having a pick-up from the soba restaurant, send it to the Yamanashi City Station, and tasting the Maruki Shuzo. 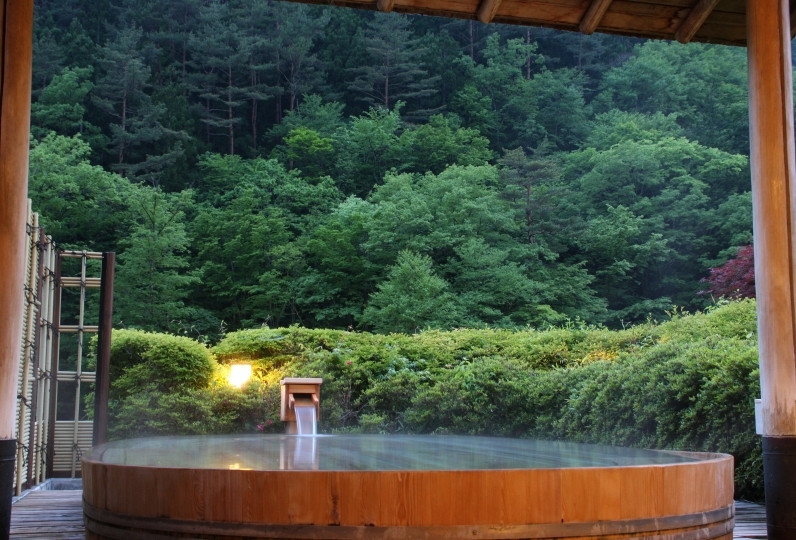 All baths at this ryokan are from a 100% natural hot spring. 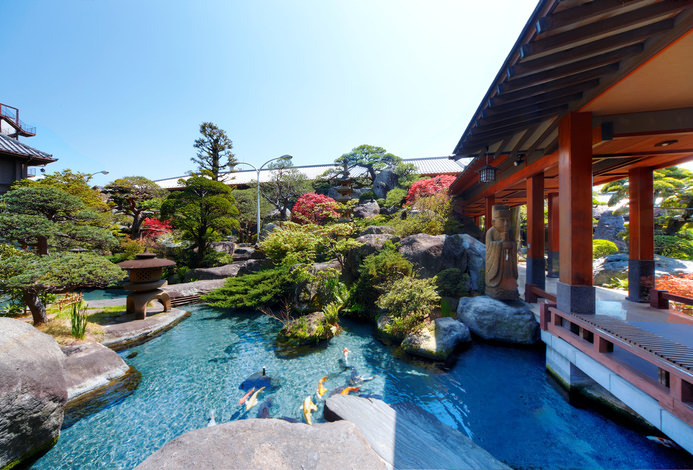 Fuefuki River hot spring is well known to be beneficial for your skin. This hot spring has superb lighting from the large window we've installed. Even the sauna will relax you to your core. An outdoor stone bath surrounded by vegetation and gigantic stones. This plan does not include the hot spring tax of 150yen. ※ There is a free pick up service from Shioyama Station  (reservation required).